When my friend M contacted me to see if she could visit me in Toronto, I was ecstatic! I hadn’t seen her for well over a year and her last visit to Toronto was five years ago. Her plan during the days was to relax and really take time to enjoy the city so she left the evenings and weekend planning to me – so of course, I jam-packed them like I typically do when I travel! The first stop was a late dinner at Lee Restaurant when she landed. I haven’t been to Lee for a year and it was great to come back. Because this was M’s first time, I thought why not ask the Server what he would recommend as some of Lee’s best dishes and well, his picks were delicious! 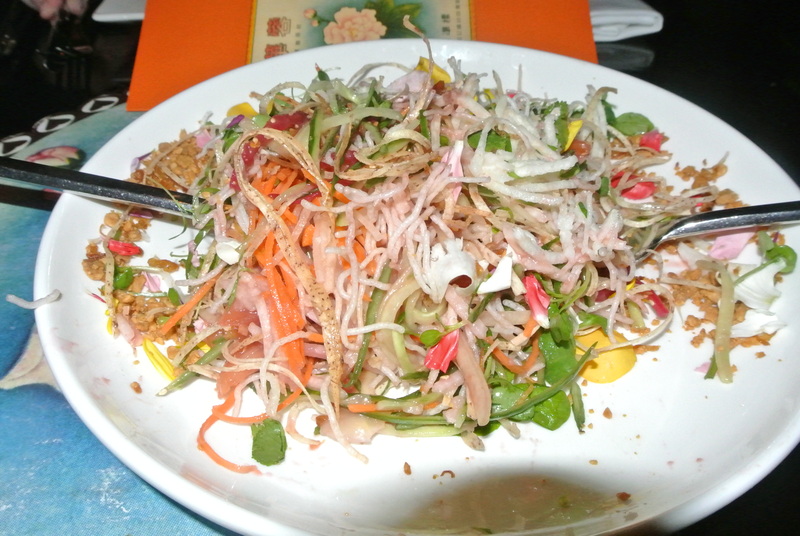 His top recommendation, Susur’s Singaporean-style Slaw! Made with 19 different ingredients – and yes, when it came the server rhymed off all 19 ingredients! Now, there aren’t a lot of salads that I rave about but this may be one of a few exceptions – it was so full of flavour I could have eaten the entire dish! 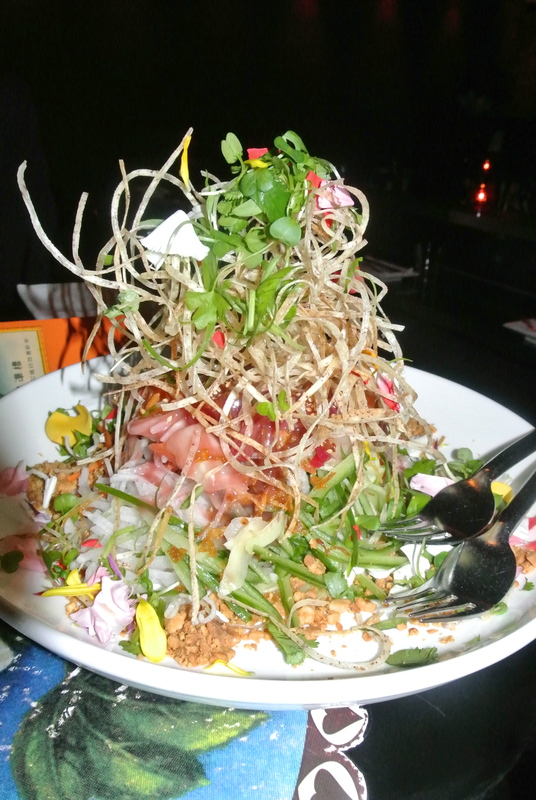 It was nutty with flavours of sesame, sweet with salmon/tuna sashimi and crunchy with crispy taro strips – it was one of the most memorable dishes I have had! Definitely worth going to eat just that! All mixed up – so delicious! 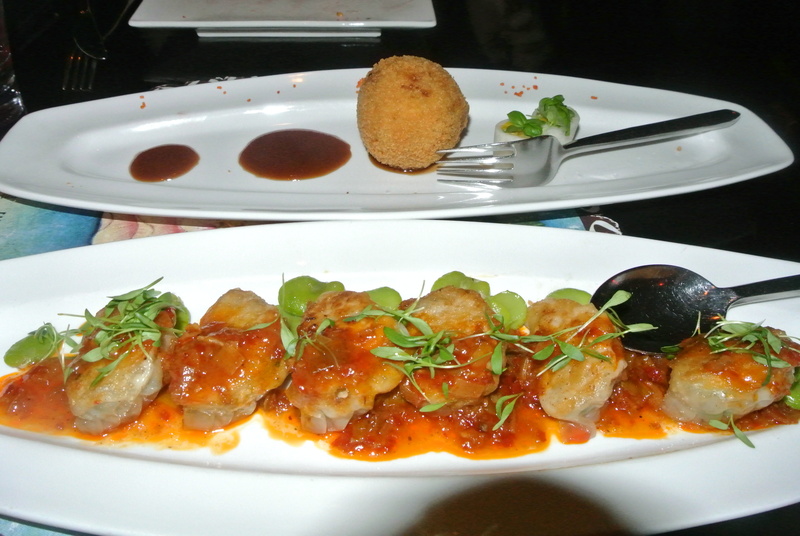 Lump crab cake and Szechuan pot stickers – a bit of spice! Top chef green curry chicken! 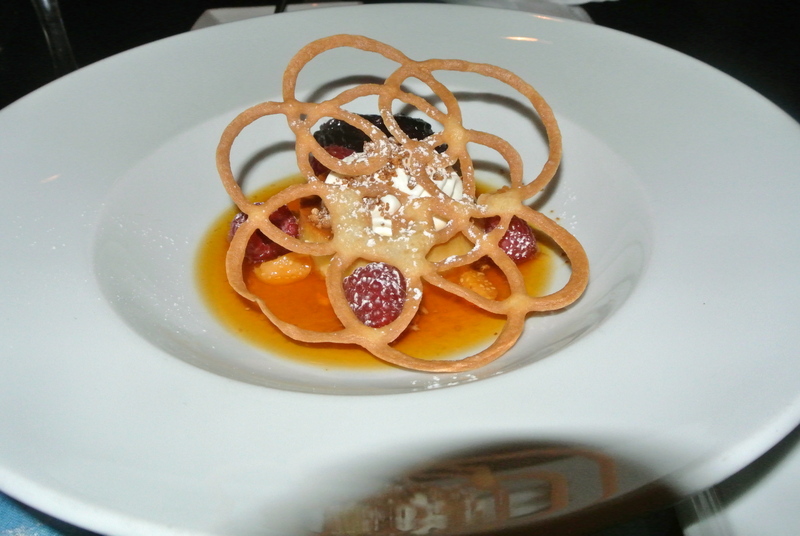 – if you’ve seen Top Chef Canada, you will recognize this dish! What’s unique is the chunks of grilled pineapple! 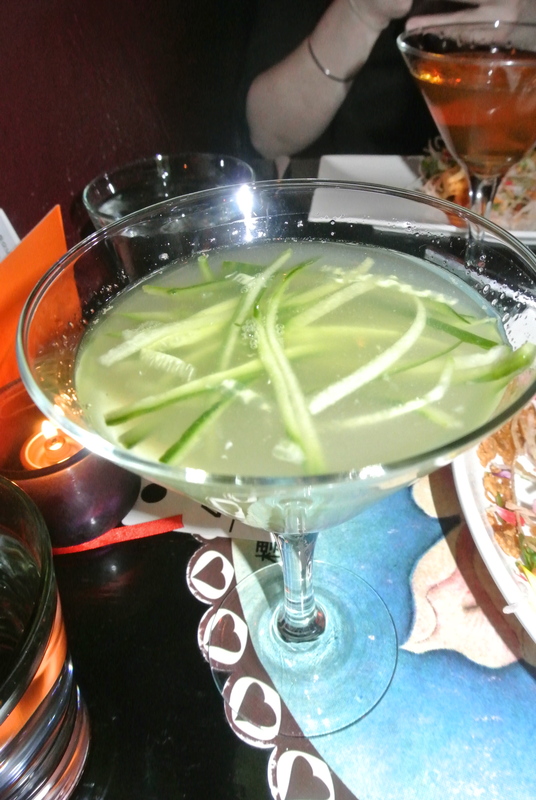 Mayan Winter cocktail – YUM! Yummy post! I am equally a fan of this Lee restaurant. Although I have visited only a couple of times there but still every visit was worthy. Singaporean-style Slaw was the first I saw someone eating so I ordered the same and fell in love with the taste. 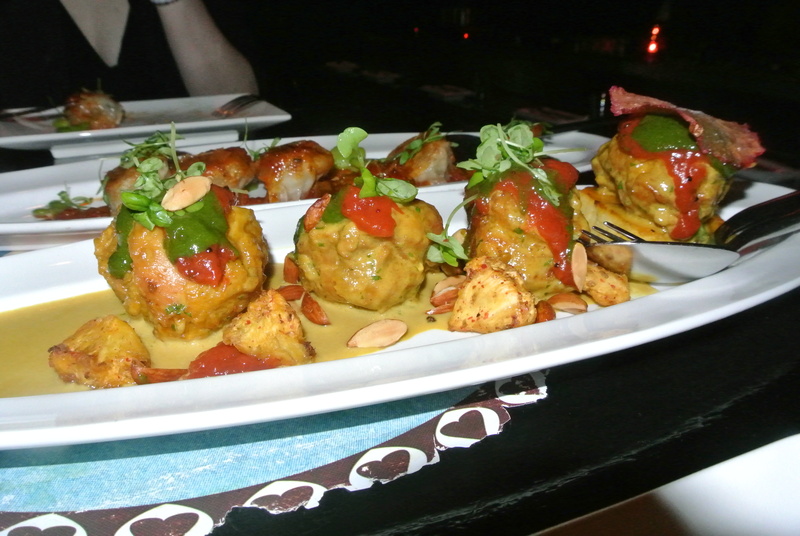 Well, this is how I find the best restaurants in the city, by referencing <a href="http://www.yabstatoronto.com/searchresults/1/restaurants" rel="nofollow"><b>Toronto restaurant guide</b></a>.